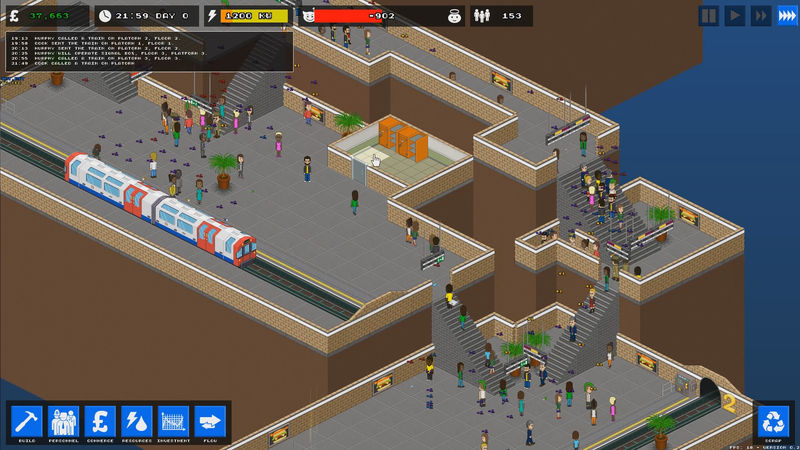 Overcrowd has undergone a substantial rewrite, evolving into a full on multi-level-station-building, staff-training, shift-scheduling management sim with a 24hr day/night cycle on the London Underground. Here's an update. Overcrowd: A Commute 'Em Up entered Greenlight late last year and zipped through the process in 7 days. Since then I've been working hard and not really had a chance to post many updates. Here's a low down on building. You can now build your station from scratch. Design the floorspace, build down over multiple levels and place your tunnels, staff rooms, power generators and other items you need for a successful tube station. You can see a sped up vid of it below. Thanks man - please follow the twitter, reddit or facebook and I will let you when I need some play testers.